Before you fill out that application to be a police officer, there are a lot of things to consider. Besides the important questions of whether or not this may be the right career for you or whether you can handle the emotional, mental and physical rigors that come with a day on the job, there's one important question on which your entire career hopes will hinge: are you qualified to be a law enforcement officer? Few would disagree that not just anyone can be a cop, but what exactly are the qualifications you have to meet before you can become a police officer? In the United States, each state sets its requirements that prospective police officer must meet to be hired or even to attend a police academy. The reason is to ensure - as best as possible - that the right people are doing the job. Considering that officers have the authority to make arrests and use force, not to mention the fact that they have access to large amounts of sensitive and private information, naturally, the public has a vested interest in making sure that the people holding these positions be trustworthy. To the extent possible, state requirements for law enforcement officers are designed to provide a minimum baseline that departments must follow in hiring officers. So What Are the Requirements to Be a Police Officer? What Do the Requirements to Be a Police Officer Mean for You? Most of the standard requirements to work in law enforcement are objective and easy to interpret; for example, you either are or are not old enough, or you either have a driver license, or you don't. On the other hand, there are a couple of requirements that may leave you wondering still whether or not you're qualified for the job. About determining whether you are of good moral character, states don't usually have a list of behaviors that are or are not okay. Instead, they rely on general principles, such as your past criminal history, defaulted loans or other debts, or previously undetected crimes (crimes that you committed, but weren't caught). 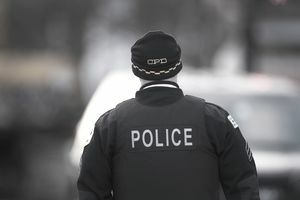 Individual law enforcement departments are usually left to make the determination on whether or not your moral character is up to their standards, which is why they conduct such stringent background investigations and may require a polygraph exam and a psychological exam to determine your suitability for law enforcement. With regards to whether or not you meet the physical requirements for the job, the first step to finding out is by seeing a physician and getting a physical exam. You can also learn about the specific physical testing employed by your department of choice - whether a physical abilities test or a physical fitness assessment - and see how you measure up. That can give you an idea of where you're at, as well as where you need to be to get qualified. What If You Don't Meet the Qualifications to Be An Officer? Law enforcement isn't for everyone, but that doesn't have to mean that you're out of options. Depending on why you don't qualify for a job as a police officer, there are many other career options within criminology and criminal justice for you to choose from. With a little research and solid effort, you can find the right criminology career for you.